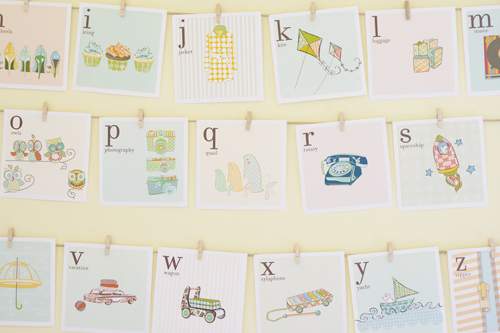 I think I'm still in baby land after our friends' shower this past weekend, so when I came across these adorable alphabet prints (free to download and print! ), I knew I had to pass it along for all of you who are in the midst of planning and decorating a nursery. I love how Ashley of The Handmade Home has them strung in three layers on the wall...a great alternative to frames, which would be super expensive for this project! 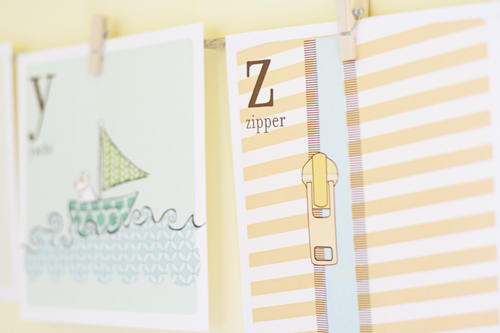 Hopefully this can help stretch that baby budget and spark some creativity in your little one's room!